The Law Lords said that although the Deputy DPP’s arguments are attractive it is up to the courts to assume that the issue raised by the Chief Justice is true. The Law Lords said that in their opinion, the Chief Justice presented an arguable case and the evidence raised some important questions of constitutional law which demand further consideration. The Law Lords said the Chief Justice was right in thinking that he had been threatened when the Prime Minister told him to demit office or face criminal charges. However, they said what is missing is evidence to suggest that there was any improper influence or conspiracy involving the Chief Magistrate, the Prime Minister or the Attorney General to prosecute him. The Law Lords also said that up to this point there is nothing to suggest that the Prime Minister improperly sought to influence the outcome. The Law Lords said that they do not believe that the Chief Justice’s complaints cannot be resolved within the criminal process and that this is not a case for Judicial Review but one to be heard before a Criminal Judge. Chief Justice Sharma was ordered to pay cost. The state can now move to arrest the Chief Justice without further interference. 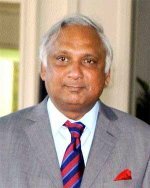 Justice Sharma, who is accused of trying to pervert the course of public justice by attempting to sway the decision of Chief Magistrate Sherman Mc Nicolls in the Basdeo Panday integrity trial, went to the Privy Council and challenged attempts by the police and the Deputy Director of public prosecutions to arrest him. We must accept this verdict and move on to the next stage. That stage to me is for the DPP to reissue charges and have Sharma brought before the courts. Then he will have his chance to prove his innocence. It’s all right to accept this verdict and move on but are there any chance of there being a fair trial, with the legal system bursting at the seams with corruption and chaos. It is sad that this matter had to be scandalised and blown out of proportion by the parties concerned. Let this prove to be a lesson for all. Think twice before going to the Privy Council! Unless, of course, you have TT$ that you can freely convert to GBP. Such arrogance going to the privy court to avoid being charged. Is he saying that he cannot get a fair trial in the systen in which he is the Chief Justice. I think his defence team and the system will ensure that happens. The truth is my mind made up now. We should give him fair trial and then we should hang him. Too bad this is not a hanging crime eh ! This is not an end, but a beginning, a chance to see whether the rule of law applies in Trinidad and Tobago, and whether the highest law officer in the land, having subjected the entire police service to ridicule, and having twice allegedly tried to interfere in the outcome of cases being handled by his subordinates, and having twice filed for judicial review to hamper the course of justice that seemed to be going against him, will now subject himself to the laws he is supposed to uphold. It will not surprise me at all if he flees the country and goes to live in India, and says that he cannot get justice either in Trinidad and Tobago, or at the Privy Council. Some say the judicial system is being sullied in the process, I think it is purging itself, and would come out cleaner than it has been. Any first year law student, or fan of Boston Legal would tell you that the three allegations, including the conversation with Sir Timothy Cassells on the plane, were out of order. What I have always been curious about is, how come they ended up on the same plane going to Trinidad? Coincidence? I wish someone could look into who booked first and all that. Sometimes little seemingly innocent things are signs of rottenness and corruption. I am glad that Sir Timothy waited until the judgment was rendered in the Panday case, to say what he knew. No one could accuse him of anything. Hats off to John Jeremie and Jeffery Henderson. Young men of that calibre can turn TnT around. Cronyism, curry favor and back-scratching have no place in the rule of law.High princiled bahavior has. Mr.Sharma is to be commended for surrendering directly when the judgment of the Privy Council was made public. Many Trinidadians have already tried and condemned this man in their minds as is evident by a comment above…to give a fair trial and then hang him. So what if he came out not-guilty? Should we still hang him? I don’t know much about this case which is bad I know but to tell you the truth, anytime a lawyer is ever accused of any wrong doings, I smile to myself. I have not yet met a really honest lawyer; they are all guilty of something somewhere along the line. Yes you can go on and on about the implications of this case to the legal profession in T&T but frankly, I personally do not care. The reason I don’t care is that the legal system is in such shambles, that nothing coming out of it holds much credit. I read an article in the online newspapers two days ago where the headline was something to the effect that a cop killer goes free. Now the man who went free was in remand for almost 1 year and the state kept delaying the case and witnesses kept not showing up. The judge presiding eventually threw out the charges. One year of the man’s life was held in limbo, all the while he is fraternizing with hardened criminals. That was just the most recent example that shows the justice system in Trinidad does not work. Why only depend on witness testimony (which is very unreliable) and not scientific evidence? Why do lawyers appear in court unprepared? What was more appalling is that, of the comments posted below that article, about 90% of the people spoke as though the man set free was guilty. Correct me if I’m wrong, but we still subscribe to the ideology, Innocent until proven Guilty. The man was not proven guilty. In fact, the events lead me to believe he was innocent because no witness ever showed up in court to testify against him and we know the Trinidad Police Service’s record of holding the right man. But even the reporter who called the man a “cop killer” in the headline has already convicted this man. The point of my ramblings is everyone seems to have a preconceived notion of the verdict and even if Sat is found innocent, the majority of people will say that it’s because he could afford high paid lawyers. Maybe this is all politically motivated or not. Which of you can say for sure? All we know is what we hear via the media. None of us were there to hear the conversations for ourselves. This brings to mind what my father once told me; there are always at least three sides to a story, the plaintiff’s version, the defendant’s version and the truth. The Sharma case may be a good reason why it is good that we do not join the caribbean COURT OF justice. THE QAULITY OF JUSTICE IN ALL PARTS OF Caribbean is low and it is very difficult to get an impartial assessment. Let us stay with the Privy Council. In Belize some years ago a High Court Judge was removed for interfering with the course of justice and being paid off. The general impression is that there is a lack of impartial justice. Sharma’s attitude reflect an emerging trend among Indian Professionals in Guyana and Trinidad who blatantly proliferate the impression that they should be accorded preferential treatment, and when it is not accorded, throw politcal and judicial tantrums in this manner. Although Indians control most of the structures of economic and media power in those two countries, they still clamour for further advantages, suggesting that they will never be satisfied with anything less than a West Indian version of the caste system native to the land of their ancestors. African Trinidadian and African Guyanese must cease this timidity of confronting this trend of racist conquest and triumphalism. At the same time, they must be vigilant to ensure that such confrontation does not mimic the very behaviours and attitudes that trigger their activism. The West Indian and Caribbean territory must not become either “little India” or “little Africa”, but a geographical niche where the children of former slaves and the children of former indentured servants can live in peace, in equality, in mutual respect for each other’s past and present. Keith Williams, I fail to see what having to be “Indian” has to do with Sharma’s attitude. Are you saying he is genitically hard-wired to expect preferential treatment? I see this attitude in people like Rowley, Imbert and Achong. (Don’t mean to only be calling members of PNM but these individuals are the first who come to mind). When people like these I mentioned act as though they are above all else, people like you don’t complain. But you see everything wrong with Sharma’s actions in defending himself. Doesn’t the Trinidad & Tobago constitution allow for legal defense when accused? Your response to my post is sufficient to make my case. I spoke of a trend I observe among a group in two countries. Your attempt to silence my obversations by infusing something like genetic predisposition suggest that I am on the right track. Note I specifically cited two countries and did not include the Indian sub-continent.